When you have drains that are clean, they have the ability to function beautifully. However, the task of cleaning your drains is something that can seem tedious and it may be best to have the professionals handle all of it. When you have the help of the professionals for drain cleaning in Bryant, you have the ability to get this task taken care of so that you can feel confident everything with work as it should be. Safety – The drain cleaner products that you can buy in stores will often time be the cause of major plumbing issues. They can include harmful chemicals and even lead to erosion of the pipes. Working with a professional will get you the drain cleaning you need without damage to your system. Quality – Hiring an expert will help to ensure that you have people on your property that are skilled when it comes to drain cleaning. The pros have years of experience and give you the added peace of mind that the job is going to get done right the first time regardless of how complex the problem might be. Longevity – Cleaning our your pipes and drains on a regular schedule will help to make sure that your system works for a long time. 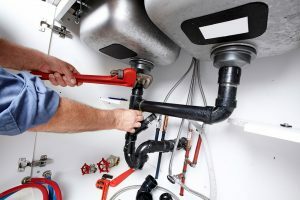 You will also have a chance at cutting back the number of emergencies that you could face when having to call a plumber when a situation arises. Working with Trident Plumbing and Drain Cleaning will give you access to the professional services you need to keep your pipes and drains nice and clear. We have the necessary technology to tackle any drain situation that comes our way and all you have to do is give us a call and we will send someone out as soon as possible. When you find that you need professional emergency drain cleaning plumber in Bryant, you can always turn to Trident Plumbing and Drain Cleaning. Call us today at (425) 321-6043 so that we can set up a convenient appointment time.